Defibrillator analyzer for performing function tests on external defibrillators. The specified energy level is measured using an integrated load which simulates the human body (50 Ω). Quick and direct observation and selection of the desired ECG waveforms and test data is also made possible. A 12-channel ECG with arrhythmias and power waveforms is available for determining the current pulse. These can be recorded and viewed at the defibrillator’s display. The SECULIFE | DFBASE is fully AED compatible and is equipped with an auto-sequence function that can execute up to 50 test sequences which have been preprogrammed by the user. The tests are configured with easy-to-use software. 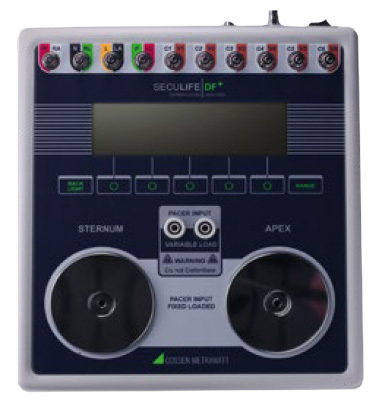 The SECULIFE | DFPRO (Germany) multimode defibrillator analyzer is an intelligent instrument for testing the latest generation of defibrillators. It measures discharged energy and provides information regarding the defibrillator pulse. The measured pulse can be graphically displayed as well. The tester is suitable for manual, semi-automatic and automatic defibrillators with monophasic, biphasic and biphasic pulsed waveform output. 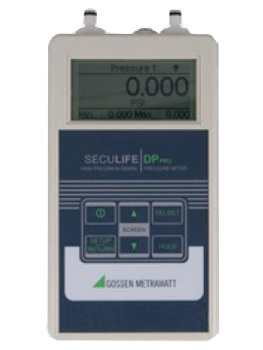 Furthermore, the SECULIFE | DFPRO (Germany) can also be used for testing transcutaneous cardiac pacemakers. The SECULIFE | DFPRO (Germany) makes it possible to quickly and directly observe and select the desired waveforms and test data. All operating information can be viewed at the graphics-compatible display (240 x 64 pixels), which makes it easy to navigate through the parameters and to scroll through all available options. in order to assure flawless functioning. 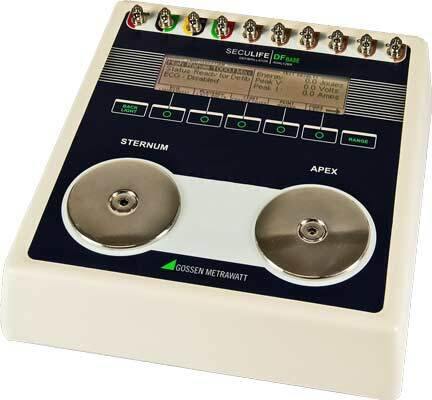 All tests are controlled by a microprocessor which calculates and displays the results. The fluid path is free of obstacles, which makes cleaning easy. The tubing is made of plastic instead of glass, thus making it more rugged. The cables and chambers are replaceable. 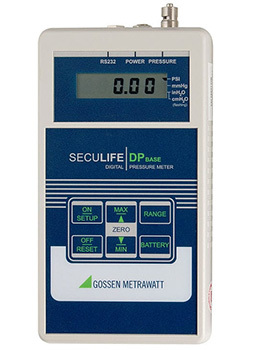 The SECULIFE | DPPRO is a high-precision digital pressure gauge. 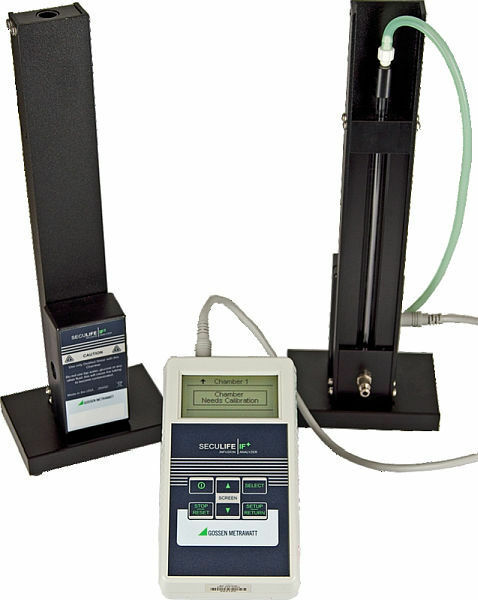 It measures compatible gas and liquid pressure values in various units of measures. It’s equipped with one or two pressure sensors and an optional temperature sensor input, in order to be able to acquire pressure and temperature with a single measuring instrument. An analog output is also available as an option. Selectable pressure sensor ranges: 0.3, 5, 10, 75 and 100 PSI.